Some home buyers react negatively when they spot a wall or ceiling hairline crack, thinking it compromises the structural integrity of the house. The fact of the matter is that wall and ceiling hairline cracks are 100% visually cosmetic and they don’t affect the house in any way. 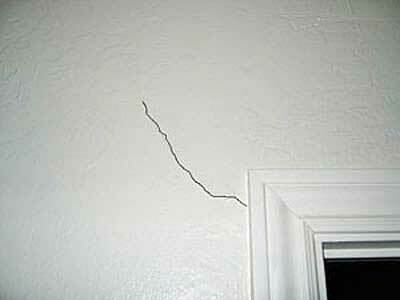 However, cracks are an indicator that something caused them to form in the first place.